**This post contains affiliate links for Cents of Style. If you follow me on Instagram, Facebook, or Twitter, you are probably very well aware by now of my love and obsession with Cents of Style. It is my desire to look fashionable while saving money that led me to become a Cents of Style affiliate. Wait!- I know you all are probably thinking... She is a food blogger, right? Not a fashion blogger! I rarely use my blog space here to talk about fashion, but today I am. And not just to bring you all a great fashion deal (but you are going to get that too ;) ). 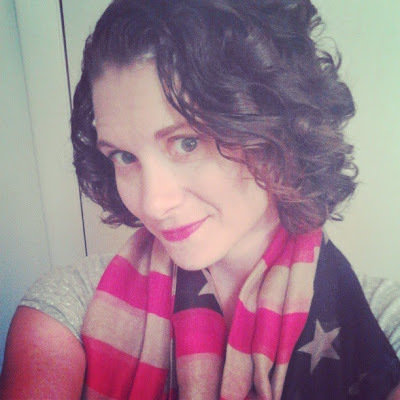 Today I am also going to talk just a little about Final Salute, Inc and how by you adding the fabulous Stars & Stripes scarf that I am modeling above to your fall fashion accessories can help the estimated 55,000 homeless female veterans in our country today. It costs about $25 per day to take care of the needs of each homeless female veteran who fought to ensure the freedom for each of us to be able to take care of our families and loved ones. For the entire month of September, you can purchase this gorgeous Stars and Stripes scarf for just $9.95- that includes shipping, folks! Plus, $1 of every scarf purchased will go directly to Final Salute, Inc! "The Americana/Stars and Stripes trend has been seriously hot for Summer 2013 and it will continue on into this Fall. You are seeing it in tights, back packs, and jean jackets." CLICK HERE to order your Stars & Stripes Scarf today. Be sure to enter the code FALLSCARF at checkout to get the special $9.95 deal and to ensure that Final Salute, Inc gets a $1 donation for each scarf that you order!